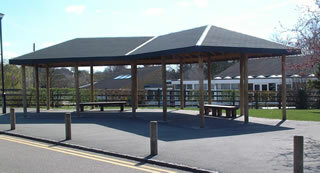 The Chatterbox outdoor shelter was designed in close conjunction with Head teachers, to provide access to outdoors all year round. 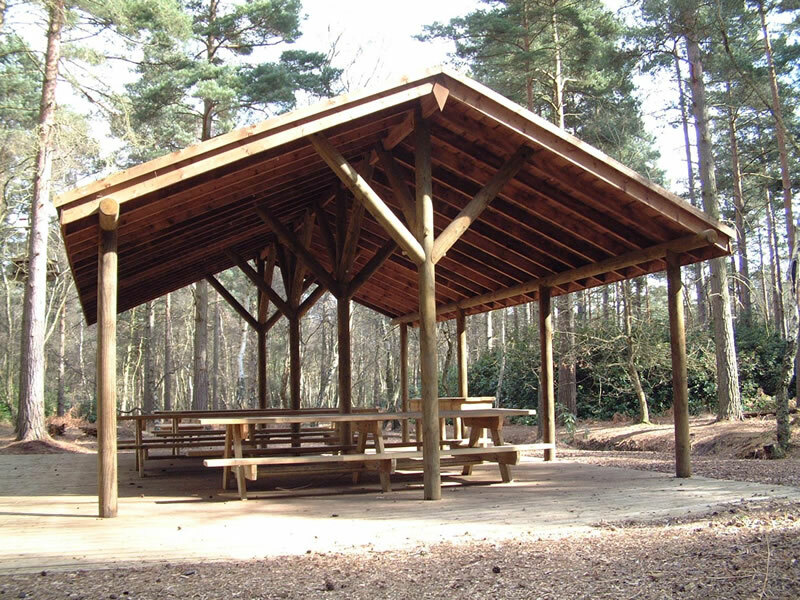 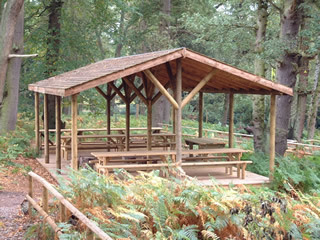 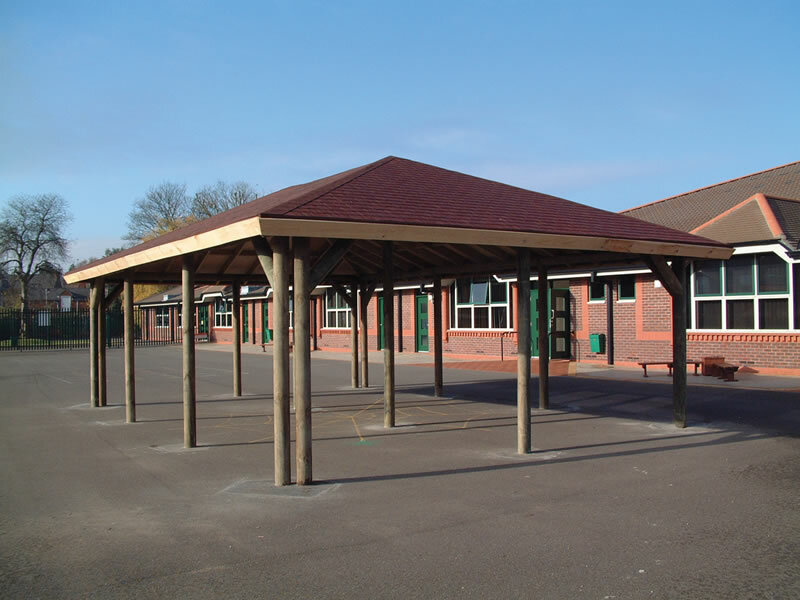 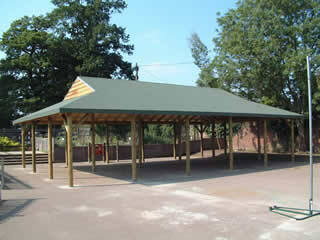 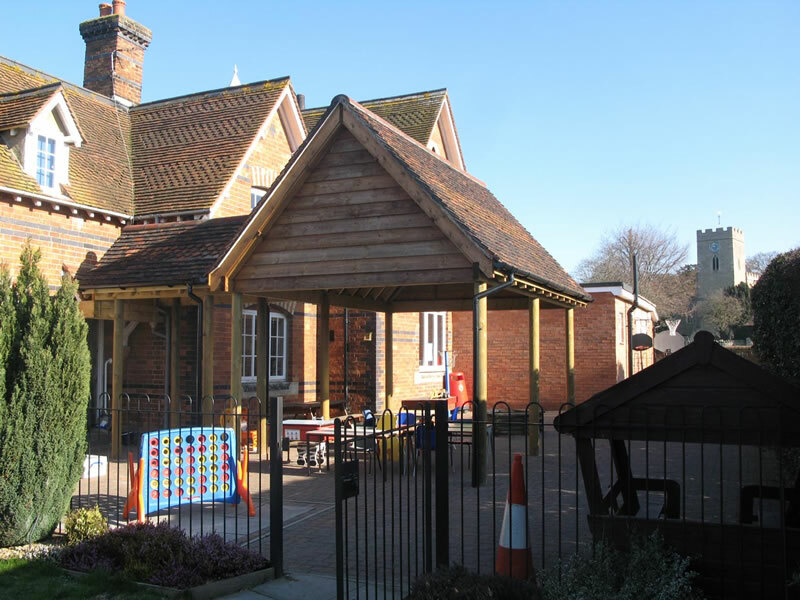 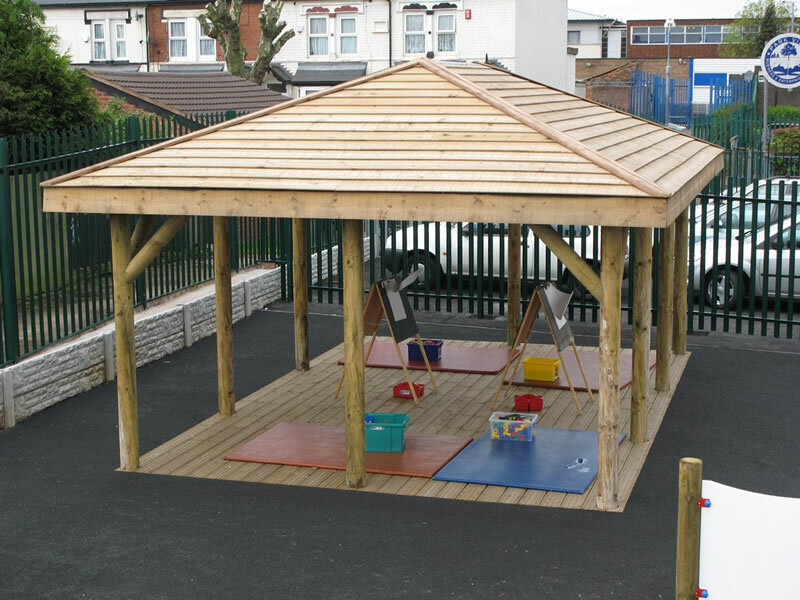 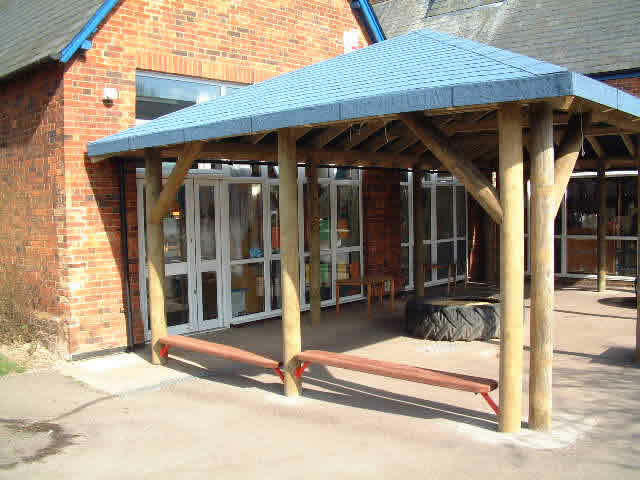 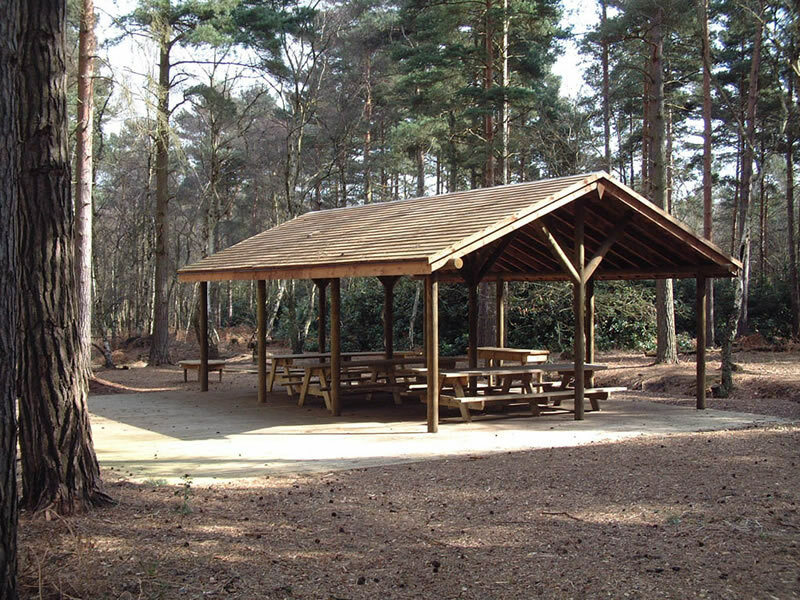 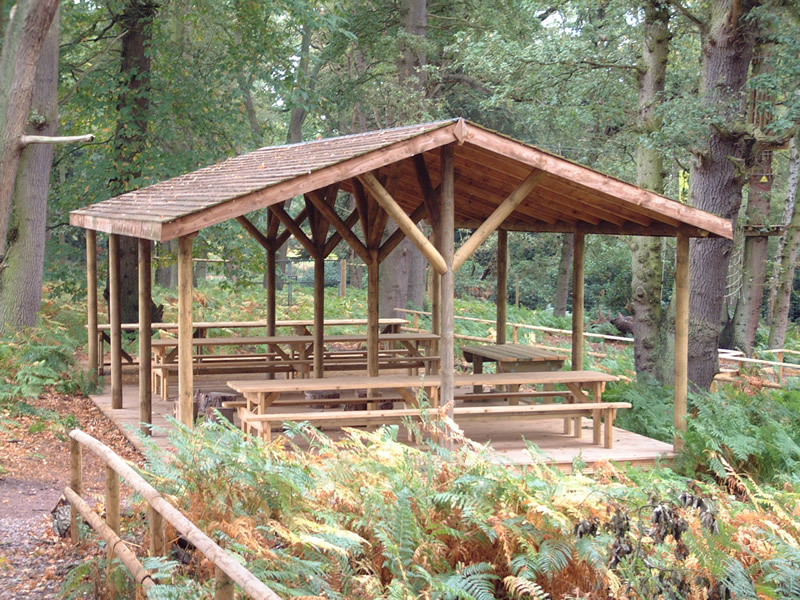 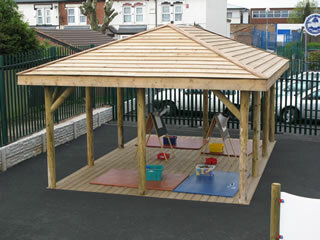 A 6m x 4m; wooden shelter can comfortably accommodate a class of primary school children, so can be used for timetabled lessons as an outdoor classroom. 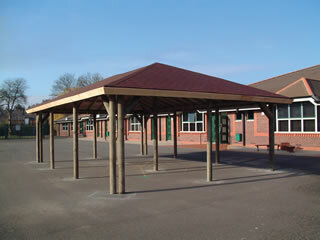 At break and lunchtimes it can be utilised as a shaded area for children to rest, chat or play beneath. 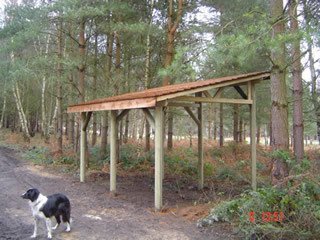 Various roof coverings are available on all timber shelters, with weather resistant felt coming as standard. 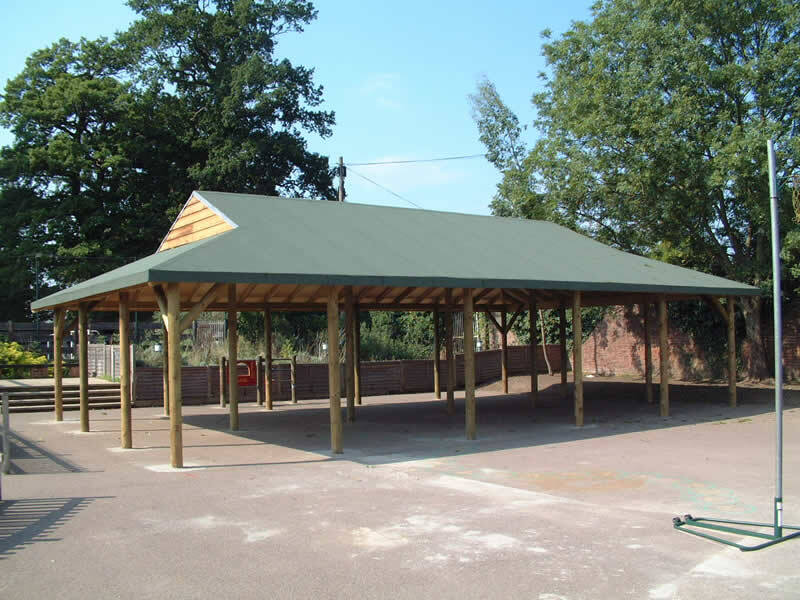 Felt shingles offer an attractive variation or feather edged timber is offers a more rustic look. 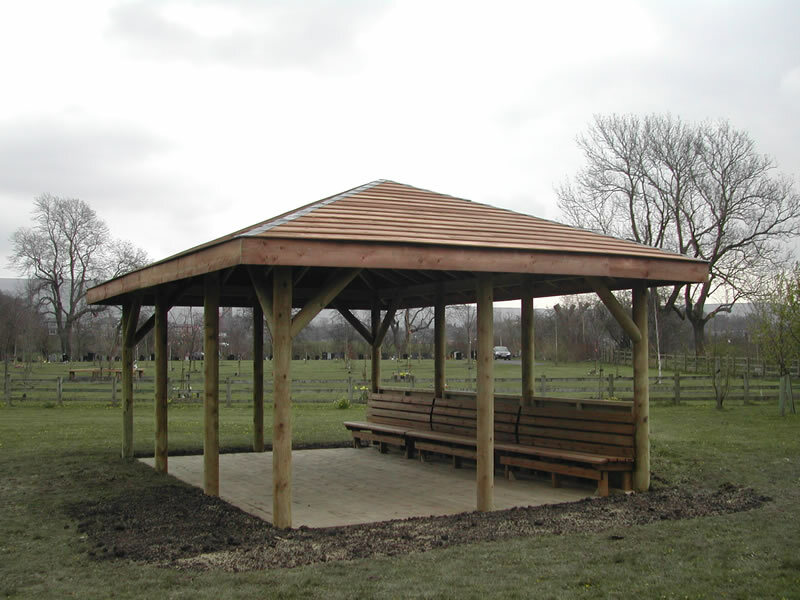 As all of our Chatterbox wooden shelters are struck on site by our own skilled construction workers, we are able to design and fit most space and size constraints including, square, rectangular, hexagonal as well as an option designed to fit into corners.